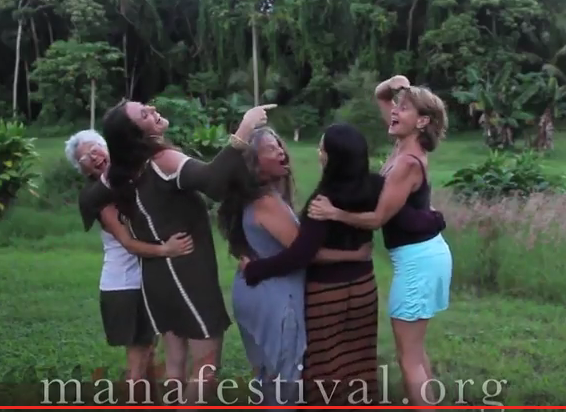 sacred feminine together, integrating the men that celebrate this energy, as well. Hope is constantly creatively weaving her love of the earth with respect for women in her projects. She has just returned, in Sept 2016, from being presenter & teacher at the Healhty Birth, Healthy Earth conference at the renowned Findhorn Ecovillage in Scotland. She has been sharing these skills since she can remember and has a long herstory of collaborating on awesome projects! To name a few, she was the manager and promoter of concerts for Green Music Network (San Francisco, CA), the Volunteer Coordinator for Urban Alliance for Sustainability (San Francisco, CA), has initiated and organized the Really Really Free Market, a monthly commUnity gathering representing the Gift Economy (Naples, FL & Pahoa, HI), & has been involved with commUnity shapeshifting projects such as the Village Building Convergence and City Repair (Portland, OR). "Emergence" and the multiple-award winning, "Aloha from Lavaland" are both currently active on the film festival circuit. as well as a Video Producer at Kalani Oceanside Retreat in the Lower Puna District.